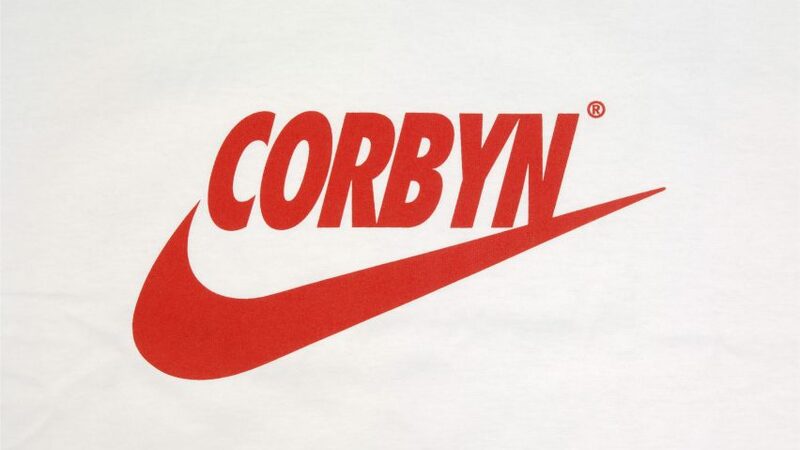 London's V&A museum has acquired a T-shirt designed for Jeremy Corbyn's political campaign, which features a "bootlegged" version of the Nike logo topped with the UK Labour Party leader's name. 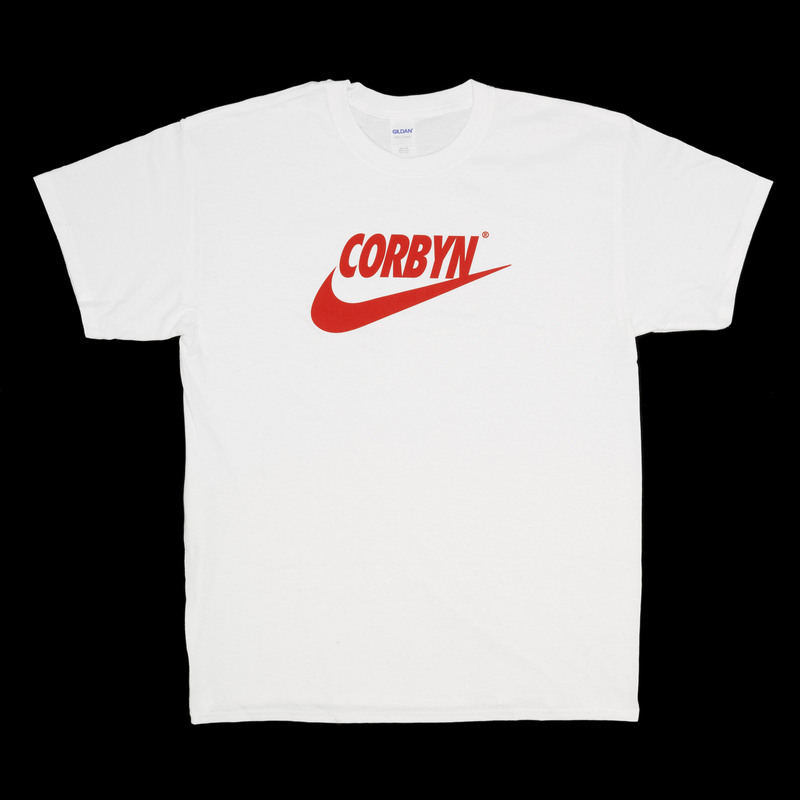 The Corbyn T-shirt, designed by British label Bristol Street Wear, was acquired through the art and design museum's Rapid Response Collecting programme. It was released earlier this year, after prime minister Theresa May's decided to call a snap election in the UK. The design features an adaptation of the Nike "swoosh" logo, which replaces the brand's name with the politician's surname – a subversive technique known as "bootlegging", where famous emblems are reappropriated by other brands or artists. "It's great to see the typically dismissed art form, bootlegs, given pride of place at the V&A," said a spokesperson from Bristol Street Wear. "This T-shirt spoke to so many people. It was immediate, it was fun, it started debates, it was censored and it even got us into trouble – everything good art should." In a statement, the V&A said that the design was representative of the way young voters were "engaged in a way not seen at previous election campaigns". Initially, many thought this year's snap election would bring about a Tory landslide. But over the course of the campaign, Labour continued to grow in popularity, particularly among the younger generation, with 60 per cent of 18 to 24 year olds voting for Corbyn's party. His success among this age group has been partly credited to the visibility he had across the internet and social media outlets. During the three-month campaign, Corbyn was portrayed as somewhat of an antihero online, and become the subject of many memes and images. Pictures of voters wearing the Corbyn T-shirt were widely shared on Twitter and Instagram – leading the product to sell out on Bristol Street Wear's online store. "Inherently digital in its translation of online culture and memes into material form, the T-shirt enables us to ask questions about the role of data and social media in the recent election campaign," said Corinna Gardner, acting keeper of the V&A's design, architecture and digital department. "Added to this, it captures the current vogue for slogan tees and the growing influence of street wear brands." The Corbyn T-shirt is now on display in the Museum's Rapid Response Collecting gallery, alongside other newsworthy items such as a pink Pussyhat from the Washington Women's March and a flag for the Refugee Olympic Team. The V&A is thought to be the first museum to employ a responsive collecting strategy, which sees objects acquired as soon as they become newsworthy to reflect the changing way fast-moving global events influence society.